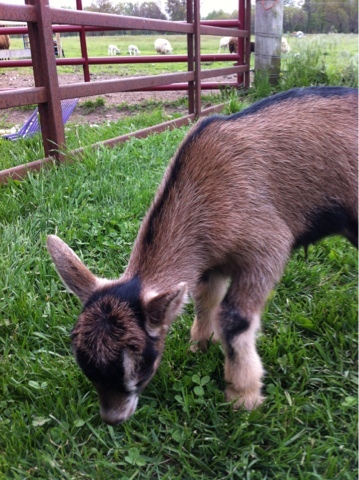 We have had several breeds of meat and dairy goats. We have had many mix breeds. When you mix two different breeds you never know what you are going to get. Sometimes it doesn't turn out very well in the looks department. We have Toggenburg and Oberhasli goats, but only an Oberhasli buck So we bred our Toggs to the Oberhasli and wondered what we would get. We call them our Ober-Toggs and we think they are gorgeous!